The Washington, D.C. night tour is one of the highlights of your visit to the city and the nation's capital. This tour is more of an educational tour that helps students, teachers, researchers, and general visitors. Visit the U.S. Capitol, White House, Lincoln Memorial, Vietnam Memorial, Korean War Memorial, FDR Memorial, Iwo Jima Memorial, Air Force Memorial, Martin Luther King, Jr. Memorial, and the National Cathedral. This tour provides step-out visits escorted by a professional guide throughout your tour. This 4-hour tour uncovers the beauty of Washington, D.C. after sunset. The tour includes all the war memorials, presidential memorials, the Mall, the US Capitol, and the White House. This tour is given on a comfortable air conditioned bus with water provided, and includes guided step-out visits to all the highlights. Pickup is available at three locations in downtown D.C. - The Washington Hilton Hotel, the Willard InterContinental Hotel, and Holiday Inn Capitol. After hotel pickup, the tour includes a guided visit to the Lincoln Memorial, Vietnam Memorial, Korean War Memorial, FDR Memorial, Jefferson Memorial, the World War II Memorial, Ford’s Theater, Iwo Jima Memorial, Air Force Memorial, and the Martin Luther King, Jr. Memorial. 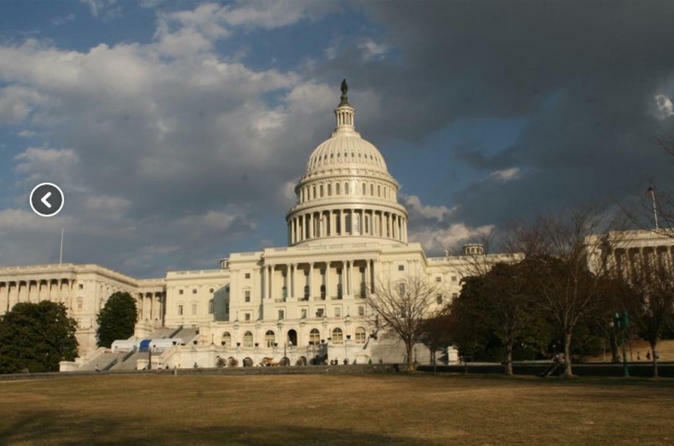 This tour also covers the U.S. Capitol, the White House, National Mall, National Archives, Embassy Row, the National Cathedral, Georgetown, the Watergate Hotel, the Kennedy Center, FBI Headquarters, the Navy Memorial, the Holocaust Memorial Museum, and the Smithsonian Museums and more.